While I wait (and wait) for our local asparagus, it occurs to me that everyone else is not waiting. The grocery stores are full of asparagus (from elsewhere, wherever that is) and it is hard to walk down the produce aisles without snatching up a bunch. I understand, really I do, and that is probably why my two blogs on asparagus from last year are getting hit up a lot these days. 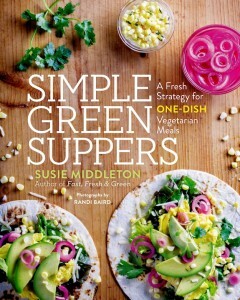 So okay, I can’t be my stubborn self and wait another month to offer up more asparagus recipes. Especially because there are about a gazillion different ways to cook asparagus—almost all of them pretty darn quick—so I can come back to this provocative vegetable again. Soon. 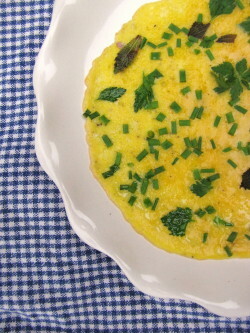 One of my favorite destinations for stir-fried asparagus is a little flat egg “pancake” (really just an unscrambled scrambled egg), which I dress up with fresh herbs to look pretty. (Yes, eggs—no surprise.) 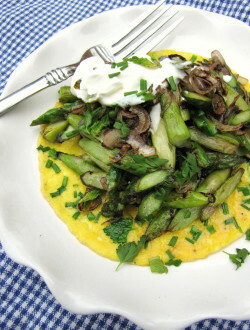 I tumble the asparagus and shallots out of the pan and onto the pancake, garnish the whole thing with a dollop of crème frâiche and a few more herbs, and I have a lovely spring lunch in less than 10 minutes (less than 5 minutes of cooking). 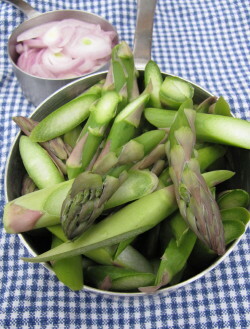 But you can also double the asparagus recipe below and serve it as a quick side dish for dinner, too. A Quick Note about Printable Recipes: I have finally figured out a way to provide you with printable recipes, through Google Documents. (Just click on the printable recipe link below the recipe title.) I set this up with last week’s fennel blog and will try to do this going forward until I can afford a website update and find a better way. (This should, I hope, at least make my Mom happy!) Of course you can still print the blog posts with the recipes imbedded in them, but it’s not a very usable format (and expends excess paper, too). 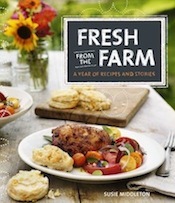 The printable recipes are simply Word documents. For this stir-fry, be sure to slice the asparagus sharply on the diagonal. It not only looks pretty, but the asparagus will also cook more evenly and the interior of the stalks will brown better. Crème frâiche is available in small tubs now in most groceries. Check both the cheese and dairy sections. If you can’t find it (or don’t want to bother with another trip to the grocery), you could try a little sour cream loosened with a bit of milk or a bit of thick yogurt or even fresh goat cheese. I absolutely love what fresh mint does here in both the pancake and as a garnish, but I usually combine it with chives and/or parsley, which hold their bright green color better. I call for cooking the veggies first and then the egg, but if you’re even a moderately good multi-tasker you can cook them both at the same time. Make the veggies: In a large nonstick stir-fry pan, heat the oil over medium-high heat. When the oil is hot (it will loosen up and shimmer), add the asparagus, the shallots, and the 1/8 teaspoon salt, and turn the heat to high. Cook, stirring occasionally for the first minute, and then more frequently, until most of the asparagus are browned around the edges and the shallots are softened and browned, 2 to 3 minutes. (Pay attention here—this goes fast.) Remove the pan from the heat and transfer the veggies to a plate while you make the egg. 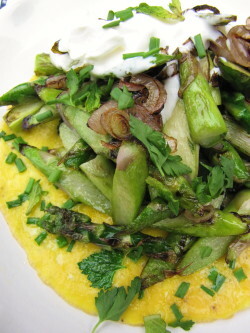 Pile the asparagus and shallot mixture on top of the egg; garnish with the crème fraiche and extra herbs. Eat right away. Thanks for the “fresh tips” on asparagus. LOL Here in Central Texas we’ve been harvesting asparagus for 4 weeks. Coming to the end as despite the cool front here today, it’s heatin’ up fast. Oh my gosh, Tina–I can’t believe it. Ours is still three or four weeks away-yikes! So thanks for letting me know that — I almost missed your window! Glad you liked the tips (ha!) and happy cooking! Thank you for this recipe! I participate in a local food co-op and this week I received two big bunches of asparagus. I’ve braised a previous jumbo bundle two weeks ago (delicious!) and sauteed another bunch last week and have been wondering what to do with these two. I suspect I’ll be getting more asparagus on Saturday. Thank you! !